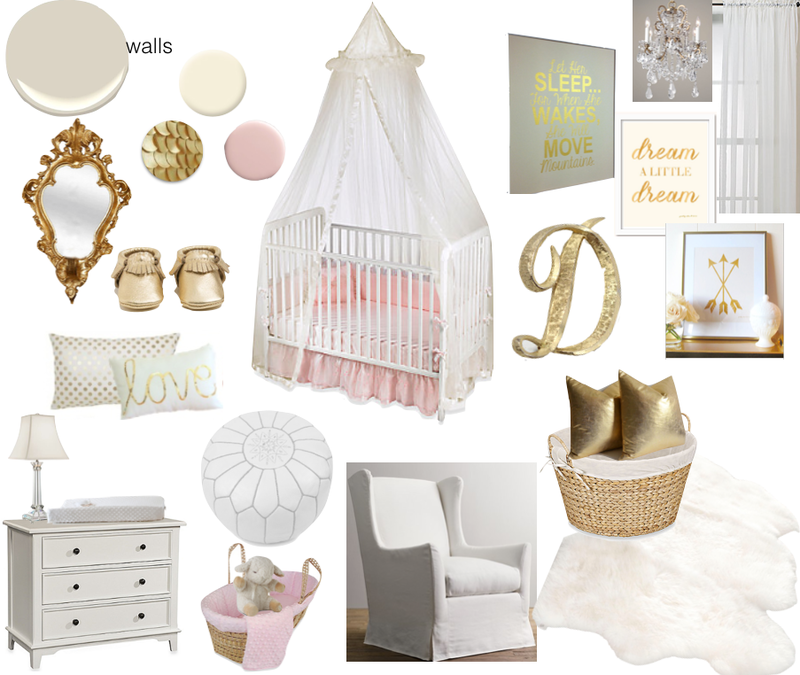 Here is a sneak peek of my nursery inspiration board. I have decided to go with a calming neutral palette of cream and gold with a subtle accent of blush/petal pink. Our entire home is already painted in a greige (gray-beige) color for the walls which works perfectly for a faint background making the creamy whites really pop. I love using gold as it has taken over black for me and become my new neutral. Of course, you also need a pop of color and I decided on blush/petal because I really like a soft pink but not rosy and not coral. Combining blush/petal gives me the color accent I want ;] Just the colorist in me being tonal picky. In my mind, the room should already be done (if you know me) but we have a slight little kicker, our house is for sale. Eek! What perfect timing right?! However, we might be re-thinking everything and staying (insert angry nester with hormones). SO, I should know in about a week if we are staying put and then it's ON! For those of you asking, this is pretty much how her room will look and I could not be more thrilled and excited to start putting it all together. Come on hubs, let's go shopping hehe!